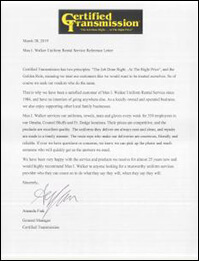 "...we have been a satisfied customer of Max I. Walker Uniform Rental Service since 1984, and have no intention of going anywhere else. As a locally owned and operated business, we also enjoy supporting other local family businesses." 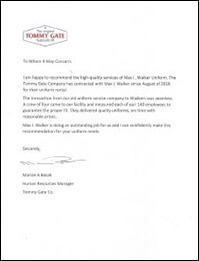 "The transaction from our old uniform service company to Walkers was seamless. A crew of four came to our facility and measured each of our 140 employees to guarantee proper fit. They delivered quality uniforms, on time, with reasonable prices." 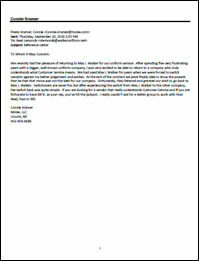 "We recently had the pleasure of returning to Max I. Walker for our uniform service. After spending five very frustrating years with a bigger, well‐known uniform company, I was very excited to be able to return to a company who truly understands what Customer Service means. 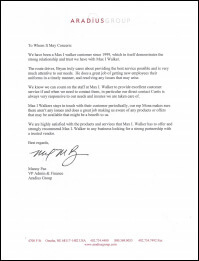 We had used Max I. Walker for years when we were forced to switch vendors against my better judgement and wishes. At the end of the contract we were finally able to show the powers that be that that move was not the best for our company. Fortunately, they listened and granted our wish to go back to Max I. Walker." 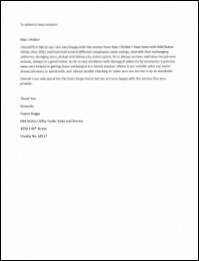 "I have been a customer of Max I Walker for the past 34 years. I have always been satisfied with their work and products. The employees there have always been helpful and courteous. My uniforms continually come back in great condition and normally exceed my expectations." 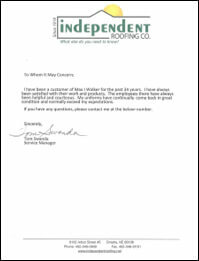 View Full Customer Testimonial From Tom @ Independent Roofing Co.
"We have been a Max I. Walker customer since 1999, which in itself demonstrates the strong relationship and trust we have with Max I. Walker. We know we can count on the staff at Max I. Walker to provide excellent customer service if and when we need to contact them, in particular our direct contact Curtis is always very responsive to our needs and insures we are taken care of." "I would first like to say I am very happy with the service from Max I Walker I have been with Mid-States Utility since 2012 and have had several different employees come and go, And with that exchanging uniforms, changing sizes, pickup and delivery by John is great, he is always on time and takes his job very serious, Always in a good mood." "I’d just like to take this time to thank you for the excellent service your company has provided for International Nutrition over the past year. I’ve always been a fan of family owned businesses as it seems to translate to friendlier service and a larger commitment to service when the family name is on the brand." 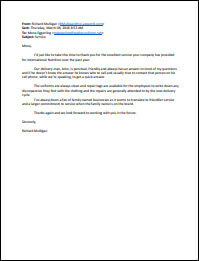 "I have a business with 17 employees and have had uniform problems/issues for years. Until I met Jordan Walker from Max I Walker uniform rental. Jordan came in four years ago and promised higher quality uniforms, dependable delivery times and a competitive pricing. I thought, what the heck, it’s got to be better than the companies we have used so I gave Walker Uniform rental a try. Jordan Walker was right on all counts, I’m glad I switched when I did." 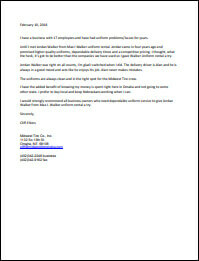 View Full Customer Testimonial From Cliff @ Midwest Tire Co., Inc.